This flat has a shower room with electric shower cubicle, wash hand basin with shaver point and W.C. 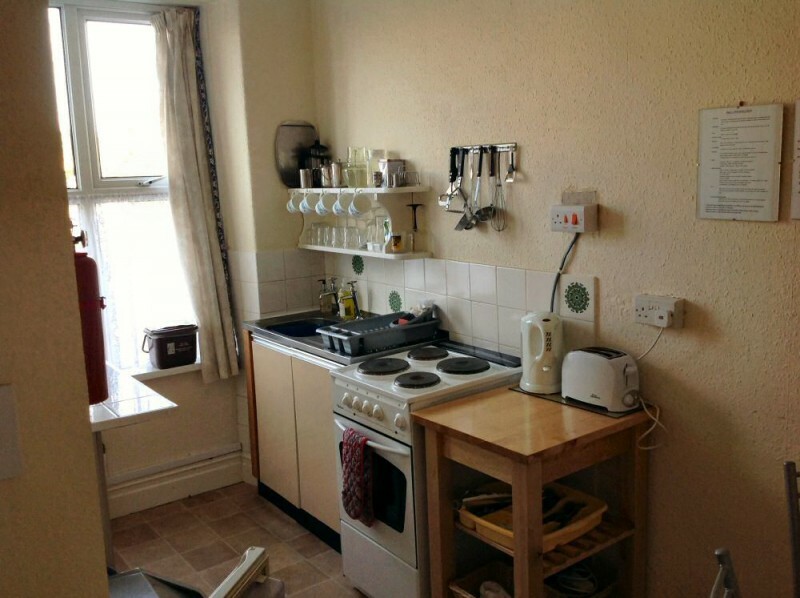 The fully equipped kitchen has seating for four people. 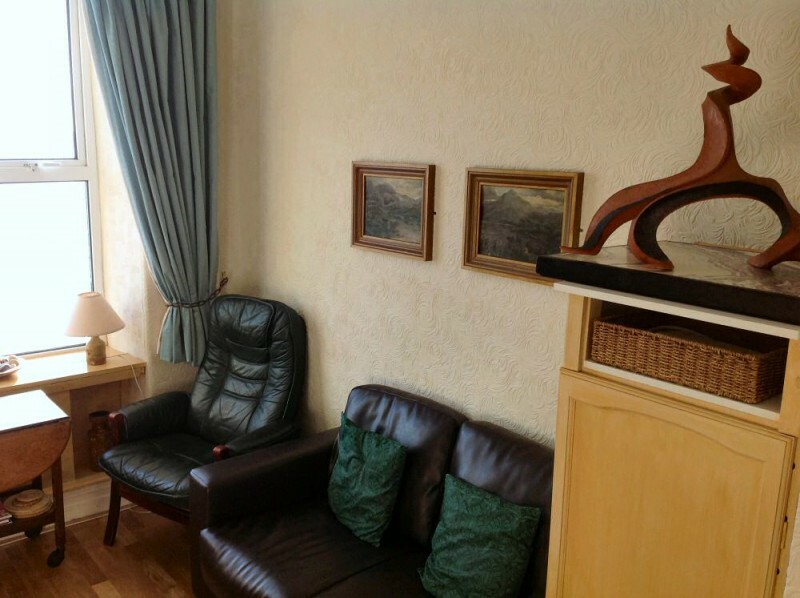 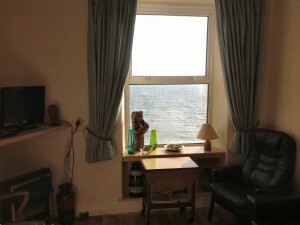 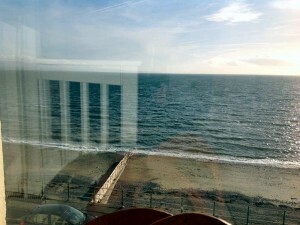 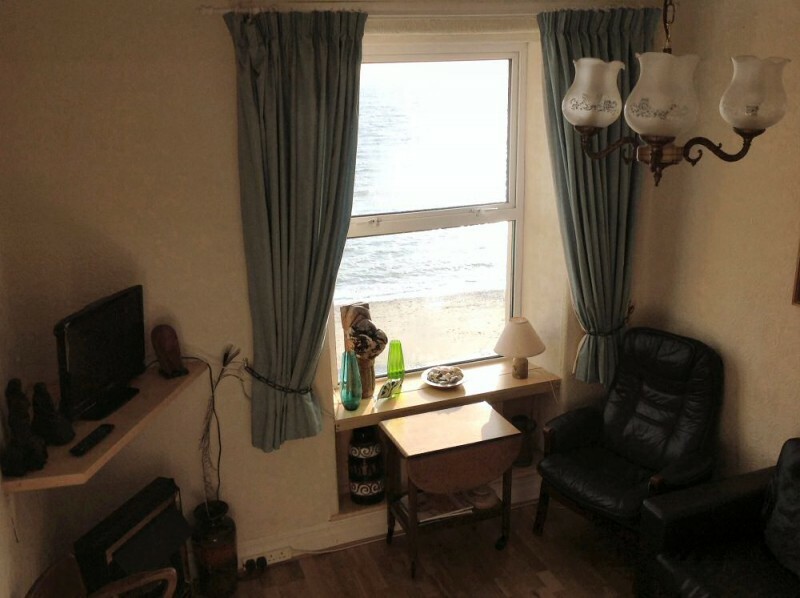 The lounge, which overlooks the sea, has two chairs by the window, a settee, T.V. electric fire and coffee table.Two single beds are also available. 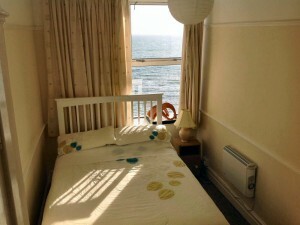 The bedroom has a comfortable double bed with bedside tables, a chair, wardrobe, and drawers. This room also has sea views.